"The perils are great, the potential dangers unmistakable, and yet the allure is all too real. Devil worship, in fact and fiction, has been a part of our world since before any of the current practiced religions were even formed. 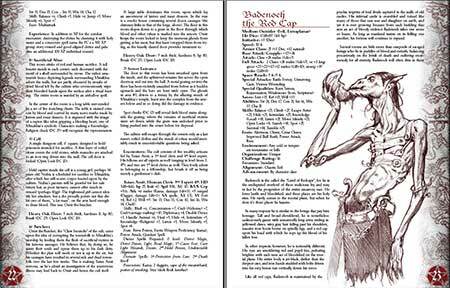 From appeasing a vengeful nature demon with sacrifices to cloistered cultists summoning devils amid a pentagram, there have always been those who were willing to gamble with their souls by making pacts with the denizens of the infernal realms. And yet, all too often in RPGs, this aspect-worshipping demons and devils as legitimate, if decidedly evil deities-is overlooked. While one would hope they never surpass the good-gods, they do in fact represent an alternative pantheon if you will." 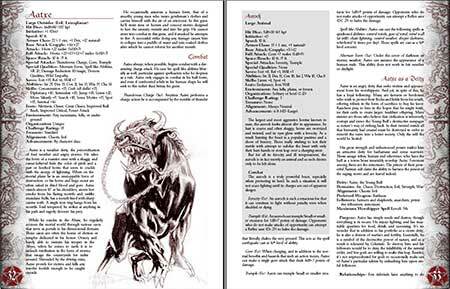 Dark Masters, Penned by the ENnie-nominated author Andrew Hind (who wrote Dark Ladies for Øone) presents a collection of lords of darkness: entities who are worshipped by someone and fought by others. The book is filled by gorgeous artwork by Daniele Bigliardo (click to see his work) and wonderful cartography by Øone. If you want add devil worship to your campaign, this is the book for you. 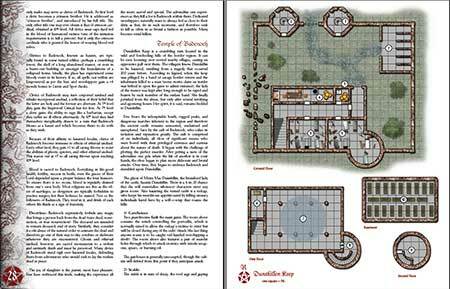 Dark Masters contains five ready-to play adventures in devilish temples to plug into your games. Why do people worship devils anyway? Mostly, it's for the qu ..